Hi there! I'm popping in with another two for one challenge post. 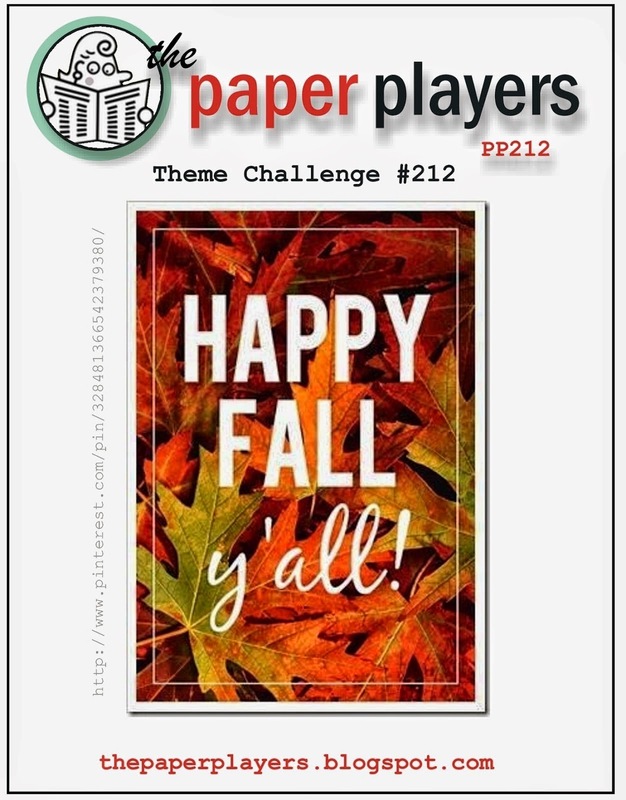 I'm playing along with the inspiration picture at Curtain Call and with the Happy Fall, Y'all challenge at The Paper Players. We don't have leaves changing colour here and it doesn't feel particularly fall like just yet but I was inspired by all the gorgeous reds and oranges and yellows in both the photos. I dusted off an unused WPlus9 die and created a fall coloured flower. 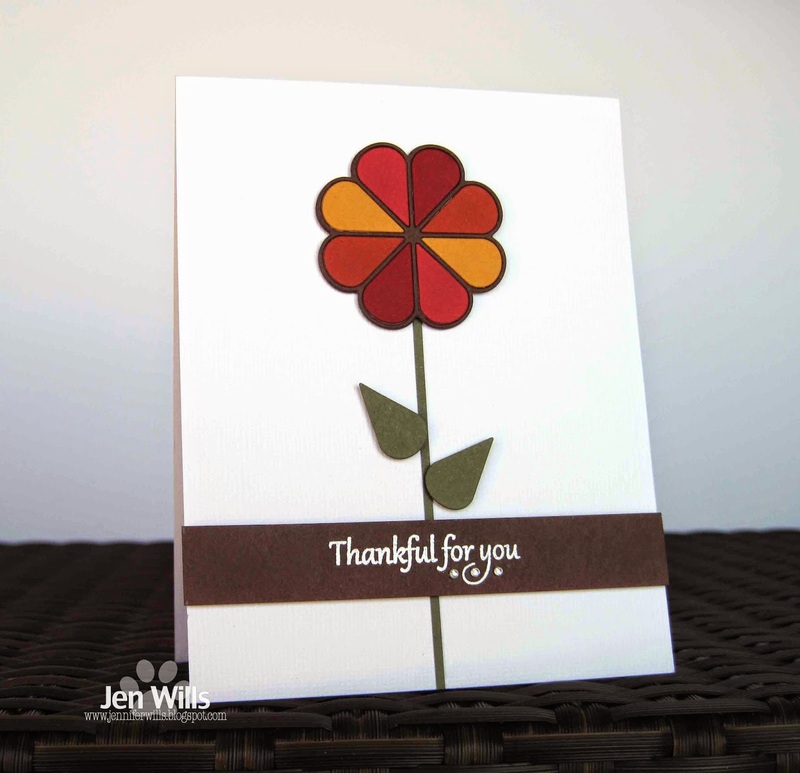 I cut some extra "petals" to use for leaves and added a thankful sentiment which seemed appropriate for a fall card. That's it for me now. Hope you all have a wonderful day! Hi Jen...my goodness but your comments have added sunshine and sparkle to my day! Thank you! Your card here - sheer delight with the lovely autumn colours and inlaid dies. Soooo pretty! I live in Canmore, Alberta, Canada, and yes, we have crazy winter weather happening now! This is beautiful! Love the flower! What a beutiful CAS fall card! LOVE it. Thanks for joining us this week at The Paper Players! Love the "fallness" of your card, Jen. The flower reminds me of those ink pads shaped like that. I've always thought they looked like flowers. 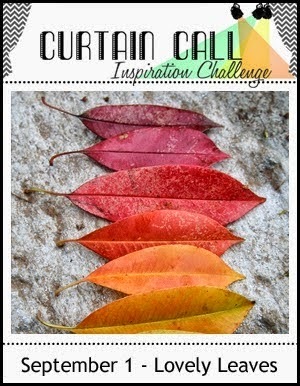 Terrific idea to incorporate the fall colors. Your flower is lovely! So glad you shared your creation at The Paper Players. Such a pretty fall flower! Love those colors. Great card! Thanks for joining us at The Paper Players. What a fun flower, and it was a brilliant idea to use those petals as leaves. Clean and cute! I love the inlaid flower. Thanks for playing with The Paper Players! This is the coolest flower Jen. I love the colors. Absolutely perfect in its simplicity Jen! I love your take on the inspiration Jen, what a beautiful die! This flower is a great way to combine these sweet colours, love the CAS design too! What a fun use of this quilt die! I love the rainbow of autumn-colored petals!